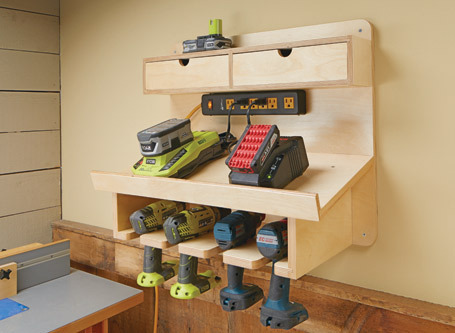 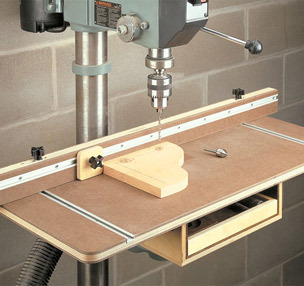 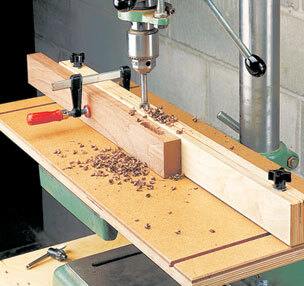 Maximize your shop's floor space by mounting two tools to a mobile stand. 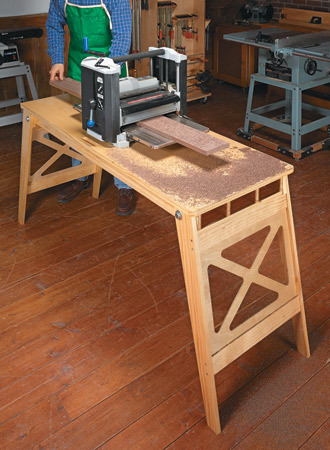 Just roll it out of the way when the job is done. 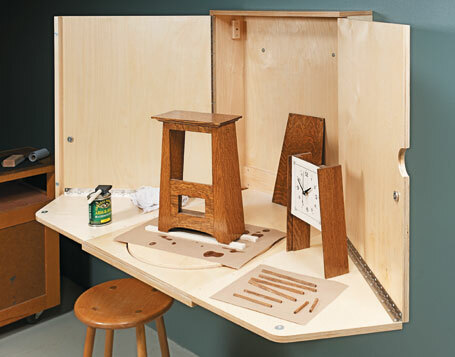 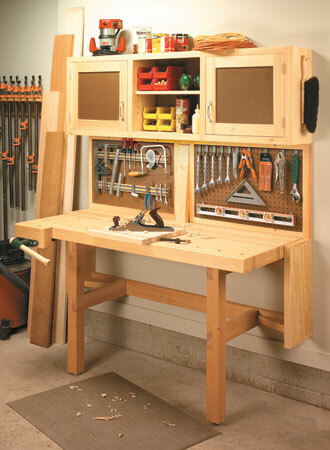 This workstation has it all — a space-saving, fold-down workbench, easy-access tool rack, and a wall-mounted cabinet. 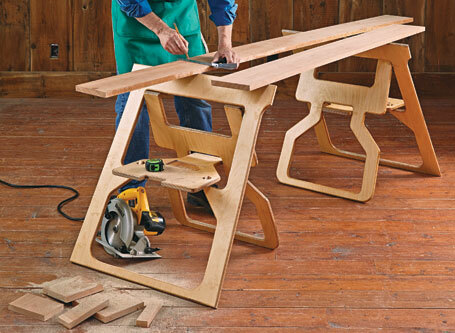 A unique design transforms a single piece of plywood into sturdy, versatile shop helpers. 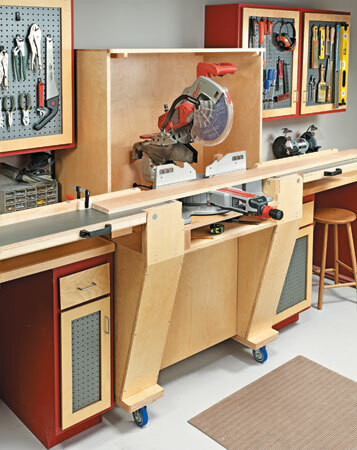 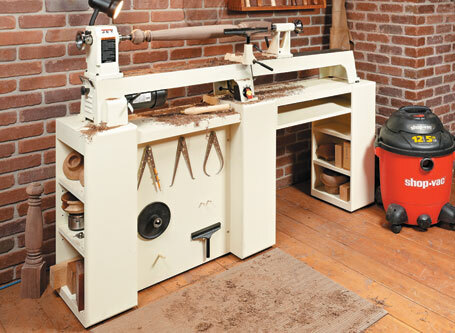 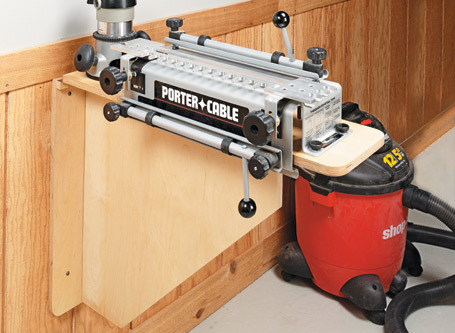 Give your miter saw the home it deserves on this versatile workstation. 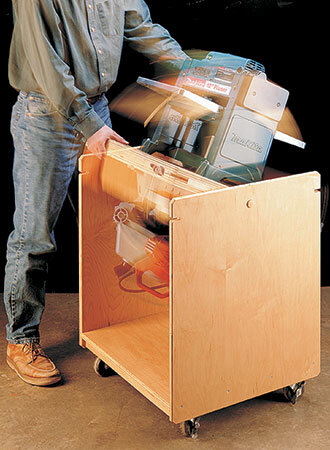 The folding wings make it easy to store when not in use. 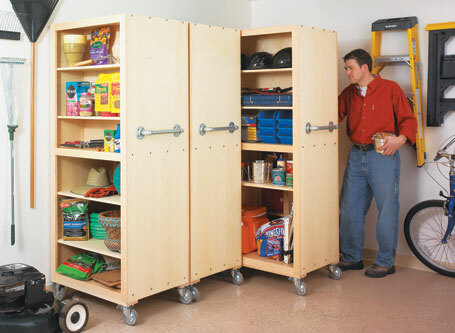 These space-efficient garage organizers make your stored items easily accessible while still leaving plenty of room to park your car.